To complete your child’s playtime, Pip and Sox offer an incredible range of wonderful and stylish accessories. 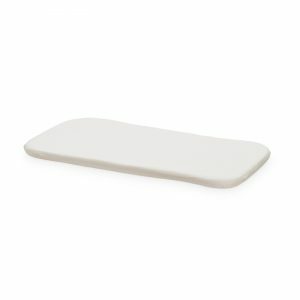 Included in our collection are high-quality playtime accessories that have been carefully crafted and lovingly made. They use premium fabrics and construction techniques for a luxurious feel and finish. Our accessories are beautiful in design and make wonderful additions to children’s bedrooms and play areas. 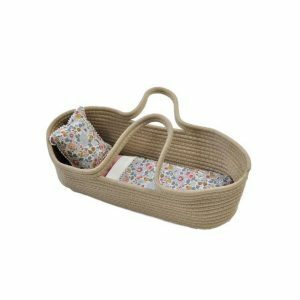 They are also portable and can be used to transport toys and dolls from one destination to another with ease. 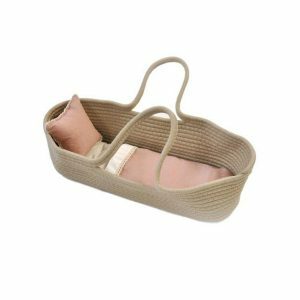 Pip and Sox’s playtime accessories include products from several beloved children’s brands, including Cam Cam Copenhagen, Maileg and Numero 74. 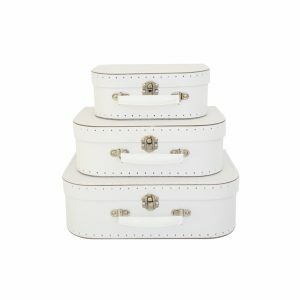 Spanning dolls’ beds and carriers to bags and a tooth fairy box, the collection is extensive and diverse. 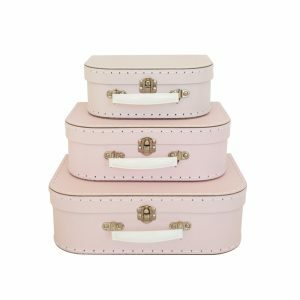 Sweet unisex kids carry case suitcase set by Alimrose. White exterior & grey spot interior. Great quality handles and stitching. Large 29cm x 19.5cm x 9.5cm. Medium 25cm x 18cm x 8cm. Small 20cm x 14.5cm x 7.5cm. Absolutely gorgeous solid wooden Plan Toys Victorian dolls house, it is truly magnificent! Standing a massive 73cm tall this really is a toy to treasure forever. There are some lovely details like the working sash windows and the columns either side of the front door. A staircase inside takes you up to each floor and the front opens up so your child can play with their little dolls inside easily. 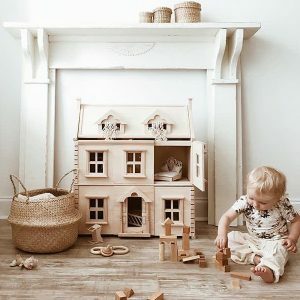 No mdf or chipboard, this dolls house is built from sturdy solid rubberwood and ply of heirloom quality. 3 floors including an attic. Each floor is accessible through the hinged front panels or by tilting the roof. Front panels are split so you can open one floor at a time. Image credit @christine_simplybloom and @roomtobloom. 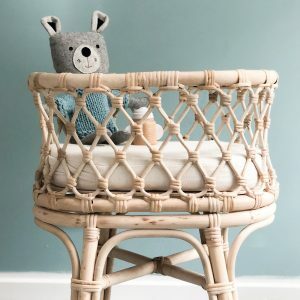 Tiny Harlow's gorgeous rattan dolls highchair is the perfect place for your little one to feed their baby. Its perfect for Miniland Dolls as well as other dolls for when your toddler wants to be like Mummy or Daddy and feed or take care of his/her doll, soft toy or treasured friend. 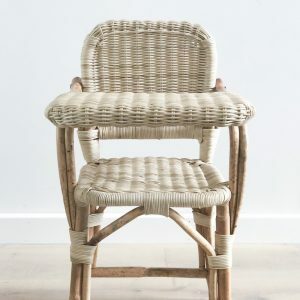 Tiny Harlow rattan toys will be cherished for years to come. Measurements are 20 x 30 x 50 cm. 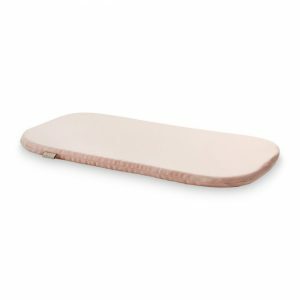 Doll's Bed Mattress for our Cam Cam doll’s bed. 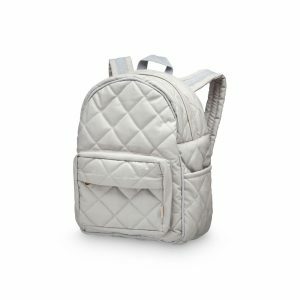 Super stylish quilted backpack for the kids, comes in Pale Pink and Grey. The backpack is acryl-coated on the outside as well as on the inside for extra protection of the bag. The bag id detailed with small pockets, zipper and adjustable shoulder straps. Perfect for school start or a weekend trip to the grandparents. 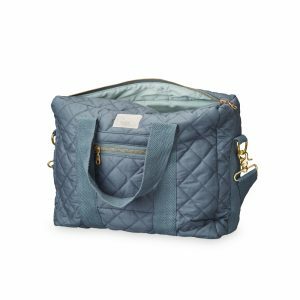 Super stylish quilted nursery bag with a shoulder-band and an adjustable long strap that fits perfectly around the pram. The inside of the bag is acryl-coated for extra protection. This bag is equipped with two large pockets on the inside, alongside with a zipped pocket on the outside.